A large business conglomerate, a merchant banking outfit, and many other offenders in India's securities markets have something in common when it comes to their bailout option - consent orders issued by the market regulator, the Securities and Exchange Board of India, or SEBI. According to the SEBI guidelines of April 2007, a consent order means "an order settling administrative or civil proceedings between the regulator and a person (Party) who may prima facie be found to have violated securities laws. It may settle all issues or reserve an issue or claim, but it must precisely state what issues or claims are being reserved. A consent order may or may not include a determination that a violation has occurred." The beauty of this definition is that there is no sting in the tail. In early January, Anil Ambani and his Reliance ADA Group, accused of playing the market with funds raised from borrowings, got away with paying Rs 50 crore to SEBI, in the largest-ever settlement in the history of Indian capital markets. Two ADA Group companies -Reliance Infrastructure and Reliance Natural Resources - and over half a dozen senior officers, got away, except for the fines. After a full-fledged probe, SEBI revealed that the ADA Group and its directors had used money raised by group outfits as external commercial borrowings and foreign currency convertible bonds to invest in stock market activities. The two companies were found to have misrepresented the nature of investments in certain securities and their profit and loss statements in their annual reports from March 2007 to March 2009. SEBI's four-page order had elaborate references to the show-cause notices. But what it lacked was a statement about the gravity of the wrongdoing and the amount involved in the financial misrepresentation. Elder brother Mukesh Ambani and his Reliance Industries have also queued up at SEBI's door to settle an insider trading case relating to a subsidiary, Reliance Petroleum. Then there is Edelweiss Capital, a merchant banking outfit of the Mumbai-based Edelweiss Group. In early May, the merchant banker ducked allegations of failure to execute due diligence, by just paying SEBI Rs 15 lakh. According to SEBI, Edelweiss Capital had failed to provide correct information, or had given misleading information, or had made inadequate disclosures in the Draft Red Herring Prospectus for prospective investors as merchant banker for public issues. However, how many such instances SEBI unearthed, and what the total amount of IPO proceeds raised through such negligence was, is anybody's guess. But Upendra Kumar Sinha, who took over as chairman of SEBI in February this year, says that the watchdog's consent orders, when finalised, are announced in the public domain. "And in any case, they are not decided at my level. There are people with delegated authority who pass those orders," says Sinha. But from an ordinary investor's perspective, transparency, which is what the financial market regulator stands for, is missing. In their current format, consent orders have no detailed information about the violations and their value. Sinha argues that the regulator cannot prescribe that, for a particular type of offence, the penalty be computed by a particular formula. "That's not possible, because these are quasi-judicial findings where there has to be application of mind," he says. For the same offences, there are wide variations on the criminal side regarding the final penalty. Sinha says the judge, while applying his mind, decides if there are circumstances that call for the maximum penalty, or those that deserve the minimum penalty. 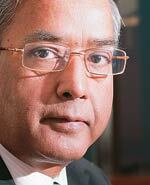 "At SEBI, we have a group of outside experts, headed by a High Court judge, who deal with all the cases," says Sinha. "Also, it is wrong to presume a particular case based only on the monetary settlement." The reason is that in the consent order, the other party, apart from the monetary settlement, agrees not to undertake activities such as trading or raising capital for a certain number of years. "You have to refer to the entirety, not just the monetary part," says Sinha. Even so, there are loopholes. For example, in the case of Reliance ADA Group, the companies and directors are barred from investing in listed securities in the secondary markets until December 2012 and December 2011, respectively. But nothing stops them from investing in mutual funds, primary markets, buy-backs and open offers. "If I'm giving you the impression that our system is the best in the world and there is no scope for improvement, that is not my intention," says Sinha. He says he has set up a mechanism to examine how to improve transparency and also make the process faster. "If you compare our final order - which we put in the public domain - with what is done, say, in America, then we need to catch up," he adds. "We're trying to improve that system by giving more recent arguments in our orders." Alongside the consent order guidelines of 2007, SEBI had highlighted that the US Securities and Exchange Commission settles a substantial number - over 90 per cent - of administrative/civil cases with consent orders. SEBI had highlighted the pros in the system. Consent orders may provide for flexibility on a wider array of enforcement actions, which would help achieve the twin goals of an appropriate sanction and deterrence without resorting to protracted litigation before SEBI and the securities appellate tribunal or the courts. Consent orders also reduce regulatory costs and save the time and effort spent on pursuing enforcement actions. This effort could be more effective in pursuing cases that require the full process of enforcement action, and in policy-related work. Besides consent orders, another approach could be that regulators punish offenders both monetarily and on criminal grounds, says Sinha. "But whether that would be successful from a public-policy point of view...and whether we can do it in all cases, needs to be looked at," he adds. Without commenting on specific orders, Sinha says the monetary settlement is just one aspect, and one should not ignore the restrictions that are included in the order. On Sebi 'killing' the IDR market: Foreign institutional investors had probably expected there could be a change in policy. The FII holding in the Standard Chartered IDR rose from 30 per cent on the day of listing to around 75 per cent in March. If you are an FII and want to take a bet on a foreign company, the easiest route is for you to buy that share which is listed in your domain. If you are taking a circuitous route, obviously you have built your position in anticipation of a policy change or clarification, which could have helped you. It has not helped you, so you are unhappy.… India cannot allow a new product and, at the same time, kill it just because some people have to take away some fast money. On the Bimal Jalan Committee report: Globally, one important yardstick in the financial sector is how you diversify risk and reduce concentration. The fact is that 100 per cent or 99.9 per cent of derivatives trading is on one exchange. But we can't blame them [National Stock Exchange]. Maybe they have done it by being efficient. So we will not introduce competition by taking business away from one exchange and giving it to another. Trading volumes will get dispersed… Not only have we been fair across exchanges… but we have also ensured that everybody is on the same footing. On the offer a hostile acquirer must make: The SEBI board has not taken a decision on the quantum of an offer required to be made by an acquirer. Consultations have begun in the board and also at the government level. Based on all the different points of view, the board will take a final view at its next meeting. On the non-compete fee in takeovers: On abolishing noncompete fees, there are two views.Why should additional price be given to a promoter by an acquirer over and above the fixed price paid to the ordinary shareholder arrived at after the valuation? But in cases where there is a technical person, an innovator might get into similar competing activity if he is not compensated for the expertise by payment of non-compete fees. That could affect the business of the company after it is acquired. We will take a decision in the next board meeting on these. Sinha faces a dilemma: SEBI can impose a monetary penalty, but how does it go about recovering it? "You will be surprised to know that the existing laws give us the power to recover it, but the recovery system and process are not in SEBI's hands," he says. "It can take years for SEBI to actually recover that penalty." Consent orders are relatively new in India, and jurisprudence is evolving. Sinha admits that there is room for improvement in the transparency of consent orders. "There are internal guidelines on where consent can and cannot be done," says Sinha. "But within those guidelines, we also have to weigh alternatives." Filing criminal cases is not the solution, he says, as the legal system takes years to settle such cases.